 Papa John's Gift Card Promotion! Don't miss out! Do you love Papa John's Pizza? I sure do. In fact, I am craving some in a huge way. I love Papa John's garlic crust! Through 8/31, purchase a $25 Papa John’s gift card and receive a FREE large 1-topping pizza. The free pizza gift card will be valid through 9/27. 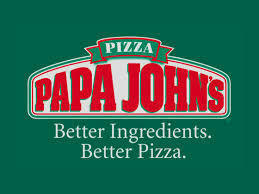 Papa John’s gift cards can be purchased at: http://papajohns.cashstar.com. Disclaimer: I was sent a gift code to compensate this post. All opinions are my own.